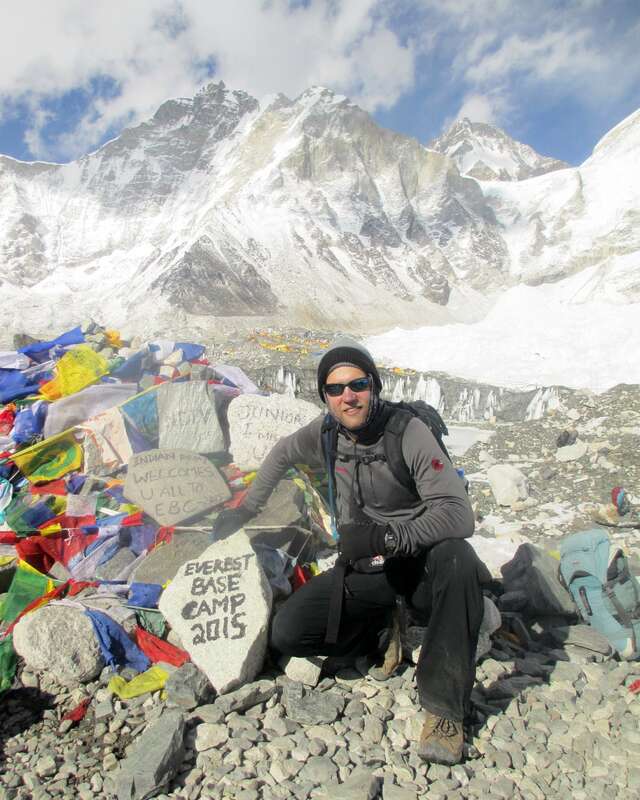 In 2015, Illinois native Rob Besecker hiked to the base camp of Mount Everest, an impressive physical feat that only a few thousand achieve in a given year. Reaching this campsite 17,500 feet above sea level is a grueling challenge that requires weeks of hiking through rough terrain and thin air. Yet for Rob, 43, Everest paled in comparison to another journey he’d been making. Since 2000, Rob has been hospitalized numerous times for heart-related ailments. He’s endured multiple heart surgeries that have kept him in the hospital for weeks on end. Officially, he has several diagnoses that include: atrial fibrillation, atrial flutter, hypertrophic cardiomyopathy, sinus dysfunction, Noonan syndrome and myotonic dystrophy, which has been an underlying cause of many of his heart troubles. Put together, they have fundamentally changed how he once viewed his life, and have made him aware of his own mortality. Rob’s patient journey has not been an easy one. In addition to dealing with physical symptoms, he has also had to deal with the emotional and psychological challenges they entail. Over the years, the temptation to give up has been great. But for Rob, that simply was not an option. 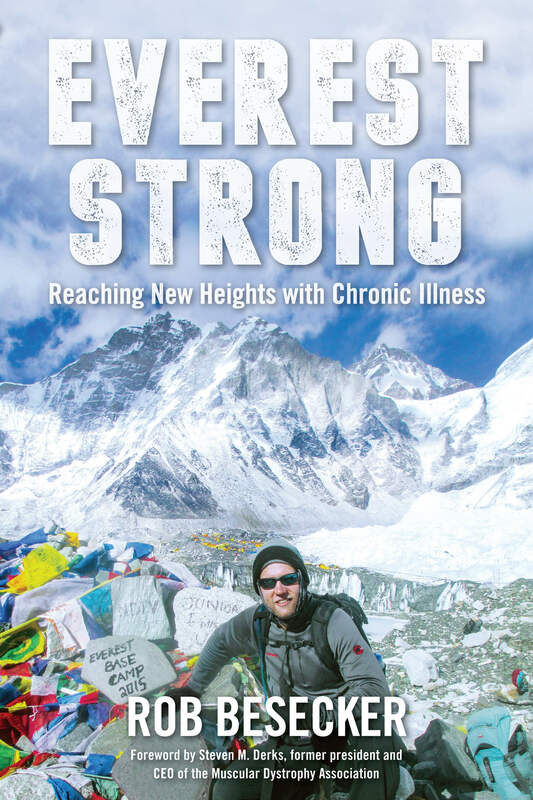 At its core, “Everest Strong” is an honest, raw account of Rob’s health care struggles and triumphs, a story of perseverance in the face of life’s challenges. His journey began in earnest in 2000, when he was hospitalized for the first time with heart abnormalities. Over the next several years, as Rob tried to build a normal life for himself he experienced numerous cardiac-related episodes that forced doctors to install a pacemaker/defibrillator device on his heart and perform numerous cardiac procedures. From 2000 to 2015, Rob was in and out of the hospital more times than he could count. As his heart trouble became more unpredictable and increasingly severe, Rob struggled under the burden of uncertainty. Relationships came and went, and the expectations for what he thought he could achieve in life seemed to constantly change. He also worried that he could die at any moment. Rob’s heart troubles culminated on one night in March 2011. After recently being discharged from a procedure meant to correct his heart ailments, Rob was jolted in the middle of the night by the searing pain of his defibrillator shocking his heart. In less than an hour, it would go off 18 times. This experience would have an indelible impact on his life. The heart complications, hospital stays and surgeries were beginning to take a cumulative toll on Rob, challenging his deepest beliefs and changing the lens through which he viewed the world. However, despite the repeated setbacks, something inside him wouldn’t allow him to give up. An athlete all throughout childhood, Rob learned to never run away from a challenge. As he recovered from the trauma of 2011, Rob decided he was going to put a capstone on his recovery. He set his sights on what many thought was a foolish, impossible challenge: the hike to Everest Base Camp. Although his doctors tried to talk him out of the decision, Rob would have none of it. Over the next few years, Rob carefully planned for the trip, regained his stamina and trained in order to be able to complete the trek. The second half of “Everest Strong” details this trip, from the rigorous training involved to the once-in-a-lifetime experience of hiking through the Himalayas on the way to base camp. Rob vividly describes his surroundings and what was going through his mind on the exhilarating journey. When he finally reaches his destination, the reader shares in the emotional experience, a moment years in the making. However, climbing to base camp was not the end of the story – he still had to get back down. And unfortunately, Mother Nature would have her own plans. Although the obstacles this time were natural rather than physical, Rob did the only thing he knew how to do: persevere. Part patient memoir, part adventure tale, “Everest Strong” is an entertaining and moving read. Rob has lived a unique life that few have experienced, but with his easygoing storytelling style, all readers will be able to relate to his story in some way. As Rob put it on a recent phone call, his hope is that everyone can read his story and be inspired to take positive action in their own lives toward achieving their goals. “The most important thing is to identify what your goals are and what makes you happy,” Rob says. “Don’t compare yourself to others or look at the limitations; instead ask, ‘What are your aspirations?’ We can always make modifications to our goals. For example, I don’t know if I could still climb to base camp now. But if I still want to go to Nepal, I can still fly there. And when I can’t fly to Nepal, I can still enjoy a picture book on Everest. As a patient myself, I am always seeking out role models who can help me better come to grips with my condition. I met Rob at a fundraiser last October and was moved by the personal story he shared that night. I couldn’t wait to read his book, and it did not disappoint. Although we all might have different symptoms and life experiences, we feel the same emotions, share the same fears and fight a perpetual tug of war to stay positive when life throws constant challenges our way. 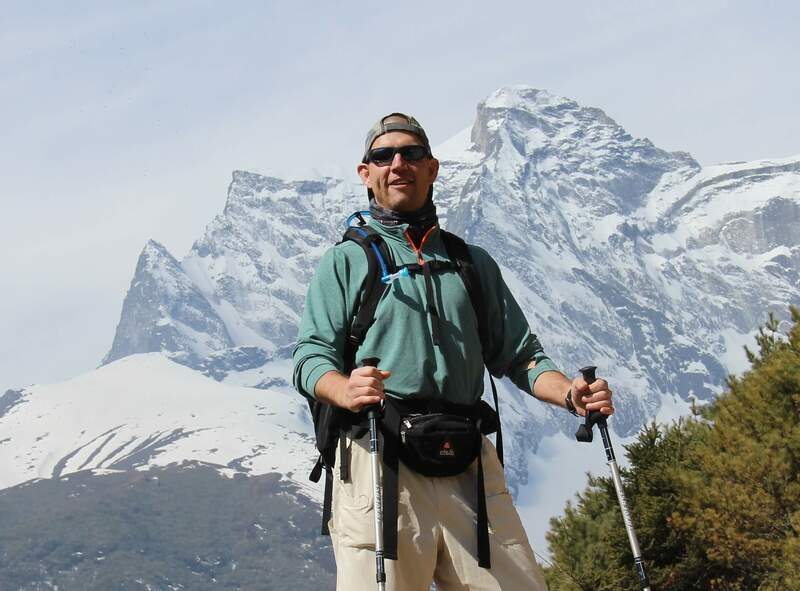 Rob’s story is one I know will resonate with others in the MDA community, and I believe, after reading “Everest Strong,” you will feel empowered to rise above life’s challenges to achieve your own goals and dreams. To learn more about Rob, visit his website, www.robbesecker.com. If you’d like to purchase his book, click here. Help kids and adults like Rob continue to live longer and grow stronger.